He had 5 sisters and 2 brothers. Charlotte Laura b.1868 in St.Pancras she died in 1877. Margaret Lennox Ower b.1870, married Edward Robert Ensor in 1898. Robert died on 18th August 1927 and Probate of £10177 1s 9d was for Margaret. Lilian Anne Roberts was born 1879 in Southampton, she married Joseph Anthony Dixon Erskine, a widower, on 19th April 1916 at the Holy Trinity Church, in the Parish of Upper Chelsea, London. Her father’s occupation was given as Gentleman. Frank enlisted on 18th March 1915. He served with the 7th London Regiment as a Lance Corporal, service number 2571. He later transferred to the R.A.S.C. as a Captain. He was awarded the 1915 Star, British Service and Victory Medals. His address was Elmstead Woood, Elmstead Lane, Chislehurst, Kent. Malcolm enlisted on 18th March 1915. 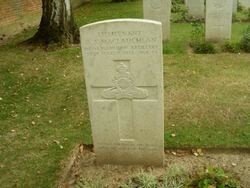 He served with the 7th London Regiment as a Lance Corporal, service number 2572 and the Dorset R. S. A. (T.F.) as a Captain. He was awarded the Star, British Service and Victory Medals. He gave his address as 33, Overstrand Mansions, Battersea Park, S.W. 11 on 30th August 1921. In the 1881 and 1891 census, the family were living at 14, Anglesea Place, All Saints Parish, Southampton. James was a Dentist Surgeon. In the 1911 census the family had moved to “Barossa”,155, Above Bar Street, All Saints Parish. James was still running his own business as a Dentist Surgeon. Frank was employed as a Land Surveyor. Alan was working as a solicitor. On each census the family hired at least two servants, usually a Domestic Housemaid and a Cook. 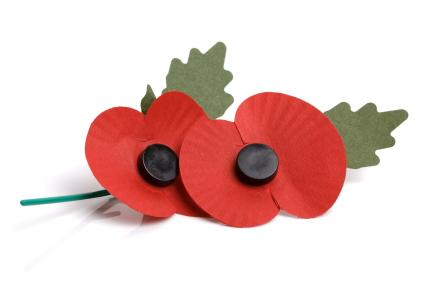 Alan also served with the 7th London Regiment as a Lance Corporal, service number 2573. He was entitled to the 1915 Star, General Service Medal and Victory Medal. His father Colonel J MacLauchlin of “Barossa”, 12, East Park Terrace, Southampton, was given as next of kin. 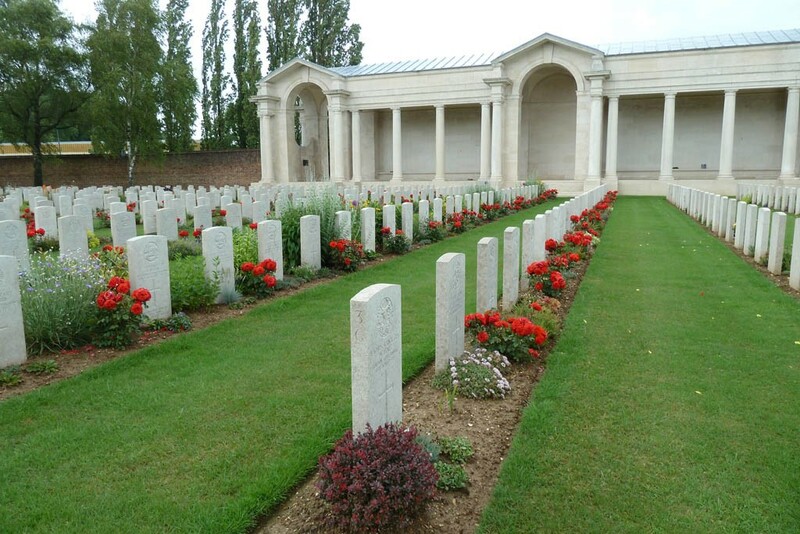 Alan is Remembered with Honour at the Faubourg D’Amiens Cemetery, Arras, France. 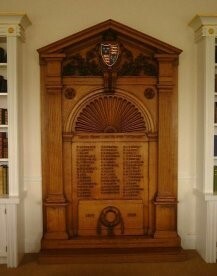 King Edward School Casualty Memorial.